ELIZABETH CITY, NC – The weather is getting colder and it’s time for you to do a maintenance routine on your car. There are a few things that you should be doing to keep your car running smoothly at least once or twice a year. The best part is most of these things can be done on your own so you can save yourself some money. 1. Change your wiper blades – Your wiper blades should typically be replaced once a year. It’s best to change them before the colder weather comes because they’ll take more wear and tear from road and wind debris then. Replacing wiper blades is super easy. You just need the right blades for your car – be careful, because some cars have two different sized blades – and you snap them into place. 2. Check your spare tire – You don’t want to be that person on the side of the road waiting for road side assistance because your spare doesn’t work properly. To do this all you need is a tire pressure gauge. It takes a whole 30 seconds to do and saves you a lot of time in the long run. Just so you’re aware, your pressure drops one PSI (pond per square inch) every 10 degrees the weather drops. 3. Check and top off fluids – By fluids we mean your windshield-washer fluid and brake-fluid. For both fluids you just need to check the required minimum that is located on the side of the containers and then fill it to the right amount. Always double check that you’re putting the right fluid in the right area. Dangerous things can happen if you mix them. 4. Change your air filter – Your engine air filters should be replaced at a minimum twice per year. These filters can get very dirty causing your airflow and performance to decrease. You can find a replacement filter at any auto store. Then all you need to do is find the air filter cover, take out the old filter, change it with the new filter, and replace the cover. 5. Check your battery and lights – To check the battery you need to look for any corrosion around the connections. If there’s anything there, you can use a particular brush to clean the bad areas. Make sure you unplug the connections before you brush and plug them back in tightly when you’re done. To check your lights, have someone watch them while your use the on and off controls. Every one of these items is quick and simple, but they help your vehicle a lot in the long run. 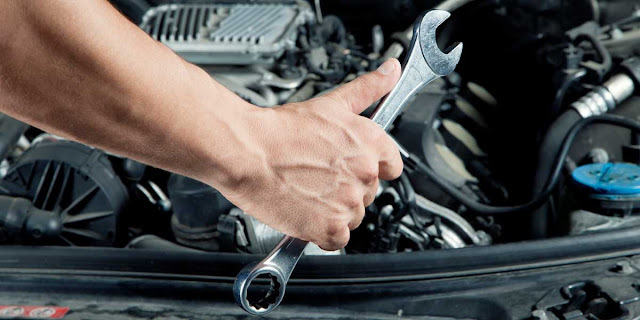 Please remember how important it is to perform a maintenance routine on your car once or twice a year. We want you to drive safely. If you need any major auto service done near Corolla, NC, come into Perry Auto Group. We can take care of your tires, car repair, and brakes. Perry Auto Group has two dealership locations to serve you better at 1005 W. Ehringhaus St, Elizabeth City, NC, 27909 or 1001 Halstead Blvd Elizabeth City, NC 27909. Stop in for any of your auto or community needs, or feel free to give us a call at (252) 338-9100.